The Last Strange Voyage of Donald Crowhurst is a non-fiction book by Ron Hall and Nicholas Tomblin about a man who first cheated to win an international sailing competition and then disappeared from his sailboat in the final lap of the race -- a story that serves as the inspiration for this film. 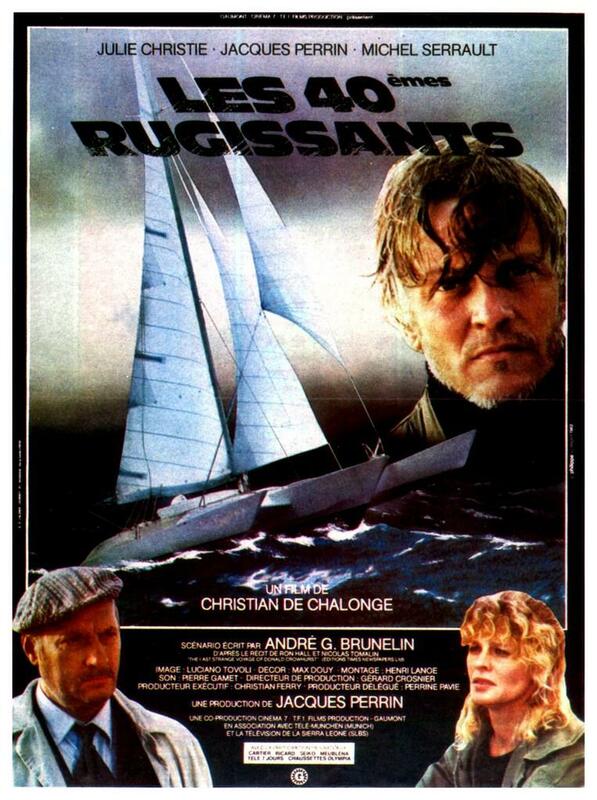 Director Christian de Chalonge and writer Andre G. Brunelin have changed the setting to France, with a Frenchman named Julien Dantec (Jacques Perrin) as the sailboat enthusiast and the international race is now a French competition. Julien is actually an electronics professional who is down on his luck when he decides to enter the race. He is led astray from his original good intentions by a low-life press agent who convinces him it would be well worth his while to win the race by illegal maneuvering. As he sets off, flashbacks tell how he came to be on the sailboat; later he has long monologues -- several of them, and in-between he occasionally battles to stay afloat on an uncooperative sea. For awhile, he sets down in Brazil when he considers abandoning the race, but seemingly compelled to finish what he started, he continues onward with his ill-fated journey.